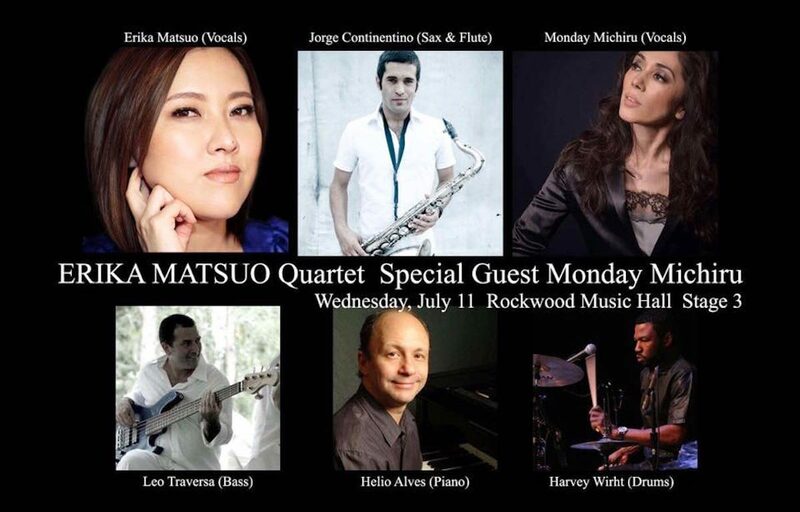 MarCreation presents an exciting night of music with ERIKA MATSUO Quartet and special guest Monday Michiru at Rockwood Music Hall‘s Stage 3. New York-based Japanese jazz singer Erika Matsuo burst on to the international jazz scene in 2010 with her self-produced album Obsession, a sensual sojourn through American, Brazilian, and original songs, which was hailed by AllAboutJazz as “a promising debut, beautifully produced and finely performed.” She had previously self-produced a single, “Close My Eyes” in 2007. For more information and to purchase tickets, please visit ticketfly.com.